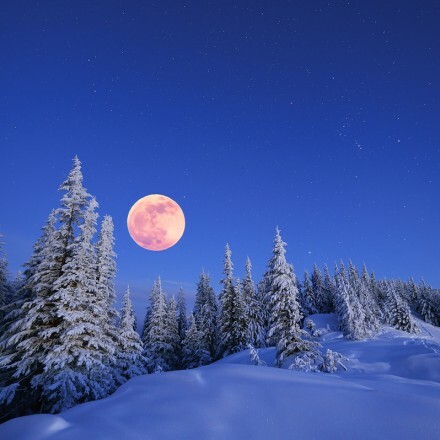 Full Moon is Saturday, January 23 at 6:46PM Mountain Time (MST). This is a moon that supports personal expression and an experience of personal power. Acknowledge what you have accomplished this month in terms of RESET and celebrate your own your talents, unique capabilities and personal power. If you feel overwhelmed about what is coming into your life, take a deep breath, ask for clarity, and be willing to allow that which does not serve you to be gone, making room for what wants to manifest. This is a good day to be in community and to inspire each other with new ideas and possibilities. It is time to dream big and do your thinking outside the box. It is also a good moon to anchor new partnerships and commit to new relationships, projects, travel and something you have always wanted to do but never thought you could. What you put into motion during this moon will have a great engine of energetic and higher centered fuel behind it for manifesting in the future. Use it well! Be as clear about your communications as possible and pay attention to yourself and your electronics as channels of energy and expression. Mercury is nearing the end of its retrograde cycle (January 25) which can mean opportunities for more focus and patience in the next few days. With the shift of the Sun into Aquarius this past week, we are initiated into the axis of Leo/Aquarius at Full Moon calling us to express our authentic radiant heart with the vibrancy of the Sun beaming down on Earth. Now is not the time to feed your cowardly lion, but instead to feel the warmth of the spotlight of your own personal Ted talk and share your enthusiasm, your passion, and your innate talents and gifts with those around you. Leo is the creative maestro of the zodiac. The only sign with the Sun as its ruler and combined with the qualities of fixed fire, Leo teaches us how to truly be a leader, how to draw power charismatically towards us while also practicing generosity, and how to tame the beast within. Leo, King of Beasts, embodies strength and courage, the qualities that allow us to conquer our fears and free our creative power. Leo rules the spine and also the heart that sits in the center of our body and radiates our essence. It takes heart and a strong backbone to free our creative self-expression and allow our total, powerful essence to speak through us without restraint. The creative process comes through many as they bring their Leo energy, creativity and originality into conventional settings needing new life and luster. The Sun in early Aquarius is traveling with Pallas Athena. She is a Goddess of Wisdom bringing the power of creation through the mind and strategic planning while working through the realms of the arts, energetic healing and political protector of the state and of the oppressed. What a powerful duo for this Full Moon chart. Uranus, ruler of Aquarius, is in a creative quintile (72º) relationship to the Sun. These willful planetary influences may be flowing down the channel of chaos or creative genius. It’s up to you to guide and focus them accordingly. Ingenuity and thinking out of the box is strong. Everyone seems to have a strong traveling partner in this chart. Mars in Scorpio is conjunct Juno, goddess of commitment and partnership; they square the Sun and the Moon – all in fixed signs. Must be reckoned with. So, it’s a good opportunity to communicate and transform any issue standing in the way of expressing your creative self especially in your partnerships. (Watch for flying sparks and avoid low psychological blows, though). Remove any obstacles to dreaming big, wide and deep as Sun Aquarius and ruler Uranus hold our inventive, rebellious and humanitarian urges. Any discussion of Uranus has to include Pluto as these two continue to closely square each other by 1º bringing us the crisis energy of ‘evolve or die’. Well, that might be a little harsh, but it is without a doubt a critical time of evolution and transformation. Pluto stands with Mercury in all its retrograde glory in exact conjunction at 15º Capricorn. Just imagine that Mercury the Messenger has been sent to the Lord of the Underworld. Just what secrets or psychological motivations would be revealed about your inner most workings? Watch for some interesting and revealing slips of the tongue or undeniably synchronistic symbolic events to appear on your stage. And Mercury’s retrograde motion will bring it back to join Pluto again on January 29 and square Uranus on January 31. Mercury will be slowing to a standstill at Full Moon and turning direct on the 25th, so the retrograde energies are at extreme intensity this weekend and activating the transformative push of the Uranus/Pluto square the following week as well. Remember Mercury rules all communication (thoughts, writing, speaking) as well as travel functions and with Uranus involved that includes your electronics and any circuits you run energy through. Speak carefully; act consciously. What Pluto/Mercury reveal, release and reclaim may be from the deepest recesses of your mental programming. Let these gems come into full awareness. Pluto is offering you your power back. Here is help to recover your radiance. The North and South Nodes are also making a strong show with Jupiter conjunct the North Node in Virgo exactly and Chiron very near the South Node in Pisces. Jupiter will give us confidence that our growth is on the right track and validate that we can meet the challenges of starting something new. It will ride with North Node through all next month also – a supportive, rare and prodigious alignment. And Chiron will be with the South Node all early spring giving us access to what lies beneath our addictions, clinging to the past, and perceived need for protection. With the energies of stationing Mercury strengthened at this Full Moon while challenging the collective powers of Uranus/Pluto, it’s propitious to not get too caught up in Leo’s penchant for drama, but instead treat oneself with compassion and respect for the growth you are experiencing and the challenges you are weathering. And by all means, let the Sun be your teacher and invite Leo’s wisdom to help you discover how healing and energizing joy, pleasure and true play are for the soul. Remember Chinese Year of the fire Monkey begins New Moon February 8. ‘Monkey correlates to the western sign Leo’.